Is Sweepon a Scam? Read 6 Reviews! Prizes: Cash, gift cards, etc. Clicking onto Sweepon.com, the first challenge is what do you want to win? This is a free prize site where players can choose to win household items, tech, beauty & fashion, cash, travel and events. Yes, it is all free – well so they say. Players simply click on what sweepstake they’d like to enter and type in your email address. “While they are processing your entry” people have to complete a survey, play a game or watch a video. Entry is limited to one per person per day except there are exceptions. For some of the prizes, there will be a message at the end on whether you can enter again – that day. Only people that legally reside in the United States and District of Columbia can play here. Funny, they allow people under the age of 18 as long as they have the permission of a parent or legal guardian. What Are the Prizes Offered by Sweepon.com? There are different categories to click on the type of prize you want to win, but there are duplications in each of these categories. The majority of prizes are gift card/vouchers from a $100 Walmart card to a $2,262 3 night stay at the St. Kitts Marriott Resort & Royal Beach Casino in the Caribbean. Sweepon is owned and operated by the Bauer Media Group. This is a company that has offices all over the world. Why do they do it? They are collecting information on where you go, what you look at through your IP address and through cookies. Then there are web beacons that are some sort of programming code that you won’t see but helps deliver cookies, count users and to “count how many emails were actually opened or acted upon… count how many particular articles or links were actually viewed”. Add “embedded scripts” that is another programming code that helps sweepon.com collect info on what you do with their services. It sounds like it is only active when you are on their site. 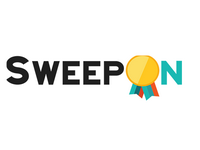 Each sweepstake on Sweepon.com has its own terms and conditions though in general they are straight forward. Differences can be how many times a day you can play and how long it will be until the prize game closes. There is a “rules” button on each but much of it is pretty standard for each of the different prize games. How to Collect a Prize? If you do win, they’ll send you a winner confirmation email which you confirm. Then your details are sent to the sponsor of that prize who will deliver your prize within 60 days. It’s interesting that scam advisor gives this site a 10% rating meaning high risk. The team did get a bit uncomfortable about all the tracking though many sites do this. They are building a better understanding of what people respond to for their clients. Sweepon.com has a snail mail address in New Jersey and New York City. The New Jersey site is the one you write to if you want to opt out of their data collecting practices. There is also a bunch of email addresses and online form, but no telephone number. Is Sweepon.com Scam or Legit? This site looks good and at least it is clear why they operate it – data collection and tracking use patterns. There was no feedback on anyone that didn’t get their prize and they are a nice size though if I was in the USA, I’m not sure if I’d have the patience to sit through surveys and videos just too possibly win something. Okay, if I was living in the US and had time on my hands, what the heck. The prizes are good. But I’m not there so it’s not an option. This is an interesting way to gather survey and other consumer information. The team had a hard time agreeing on a thumbs up or thumbs down on this one, but the first thing everyone did after they finished the review is clean their computer! I have won several times and love having the opportunity to try and win prizes, it is fun!!! I won a prize June 25th, seventy days ago & still haven’t received it. The information they send states if u don’t receive your prize within 60 to email them on the link they provide. I have emailed three separate times & they have not responded to any of them. It takes a lot of time to enter their contests. Just a heads up that you may not receive your prize if you win. I have won three times on this site so it is definitely not a scam. The prizes are sent out quickly also. Well couple years ago I won $1000 prize never really had any issues with them, I just sign the affidavit and couple weeks later had a check in the mail with my winnings so I don’t think they are a scam. It’s a scam. I doubled checked 5 of the promotions and either they didn’t exist or were expired.